The disappearance forty years ago of Harriet Vanger, a young scion of one of the wealthiest families in Sweden, gnaws at her octogenarian uncle, Henrik Vanger. He is determined to know the truth about what he believes was her murder. He hires crusading journalist Mikael Blomkvist, recently at the wrong end of a libel case, to get to the bottom of Harriet's disappearance. Lisbeth Salander, a twenty-four-year-old, pierced, tattooed genius hacker, possessed of the hard-earned wisdom of someone twice her age - and a terrifying capacity for ruthlessness - assists Blomkvist with the investigation. This unlikely team discovers a vein of nearly unfathomable iniquity running through the Vanger family, an astonishing corruption at the highest echelon of Swedish industrialism - and a surprising connection between themselves. 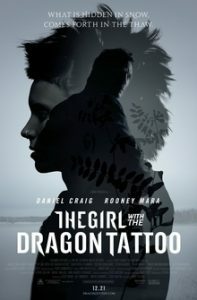 Film versions of the first three Millennium books, all three films released in 2009, beginning with The Girl with the Dragon Tattoo, directed by Danish filmmaker Niels Arden Oplev. The protagonists were played by Michael Nyqvist and Noomi Rapace. A Hollywood film adaptation of the book, directed by David Fincher, was released in December 2011. The main characters were portrayed by Daniel Craig and Rooney Mara. Looking for more face-paced Swedish mysteries? Check out these suggestions for Stieg Larsson's epic series. The hideously abused body of a young boy is found in a Stockholm city park. Detective Superintendent Jeanette Kihlberg's investigation quickly dead-ends when no trace of the boy's identity can be found. But with the discovery of two more children's bodies in similar condition, she turns to therapist Sofia Zetterlund for help in identifying suspects. Dealing information to wealthy clients throughout the world, Vanessa Munroe hopes to leave her unconventional past behind her until a mission to find the missing daughter of a Texas oil billionaire forces her to return to the central Africa region of her youth. Smilla Jaspersen is convinced she has uncovered a shattering crime. It happened in the Copenhagen snow. A six-year-old boy, a Greenlander like Smilla, fell to his death from the top of his apartment building. While the boy's body is still warm, the police pronounce his death an accident. But Smilla knows her young neighbor didn't fall from the roof on his own. In Oslo, after the first snow of the season has fallen, a woman disappears, and a sinister snowman is left in her wake. As irascible detective Harry Hole realizes that this is only one of multiple disappearances, he begins to think a serial killer may be at work - and may be drawing in Hole personally and intentionally. Rebecka Martinsson is heading home to Kiruna, the town she'd left in disgrace years before. A Stockholm attorney, Rebecka has a good reason to return: her friend Sanna, whose brother has been horrifically murdered in the revivalist church his charisma helped create. But to help her friend, and to find the real killer of a man she once adored, Rebecka must relive the darkness she left behind in Kiruna, delve into a sordid conspiracy of deceit, and confront a killer whose motives are dark, wrenching, and impossible to guess. View more suggestions for The Girl with the Dragon Tattoo.